UPDATE: Thanks to all of you, we exceeded our goal of selling 25,000 sandwiches and our final tally for sales of Nam’s Charity Chicken Banh Mi is 29,312! The sandwich sales coupled with a “Give Back” fundraiser raised $7663 toward Nam’s primary school construction fund! Our Co-Founder Ellen Chen and her daughter Ella (Nam’s classmate) presented the donation to Nam on his 11th birthday, making the occasion even sweeter. If you didn’t have the chance to try the sandwich, you can still support Nam’s cause by donating at the Children of Vietnam website. Read on below to learn more about Nam and his vision to provide schools for underserved children in Vietnam. Nam Harrison is a ten-year-old schoolmate of our Co-Founders’ daughter, Ella. Adopted from Vietnam, he has a big heart and big plans to give back to his birth country. Before adopting Nam, his mother Maria did some humanitarian work through the Children of Vietnam organization. Witnessing firsthand the poverty that families in rural regions of Vietnam must endure, Maria empowered her son to become a global citizen. To Nam, this means being aware of his own privilege, acting with empathy for others, and inspiring his friends to do the same. The Harrison family took a special trip to the Truong Son Mountains in Quang Nam Province, where the stark contrast between the stunning countryside and dire poverty of the villages struck a deep chord. Barriers to accessing education are concentrated in specific regions in Vietnam like this one, where an estimated 20% of ethnic minority children have no access to primary education. 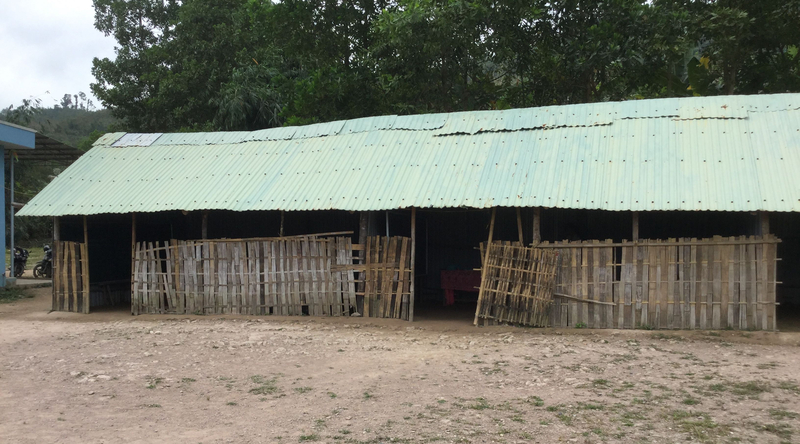 Seeing the dirt floor shack that serves as the children’s school, Nam became determined to build them a better one. The current school for children of the C’Tu tribe. Nam Harrison is determined to build them a real school. Nam’s first idea was to transform his 9th birthday party into a fundraiser for Children of Vietnam with the intention of building a new school for the children he met on his trip. He gave up all his birthday presents, asking instead for friends and family to donate toward the cause. Nam’s loved ones supported his mission in a big way, raising $15,000 toward the school! It was an amazing start, but the price tag to build, staff, supply, and maintain the school is a hefty $75,000. Mendo Co-Founders Mario and Ellen’s daughter Ella was inspired and told her parents about what Nam was doing. 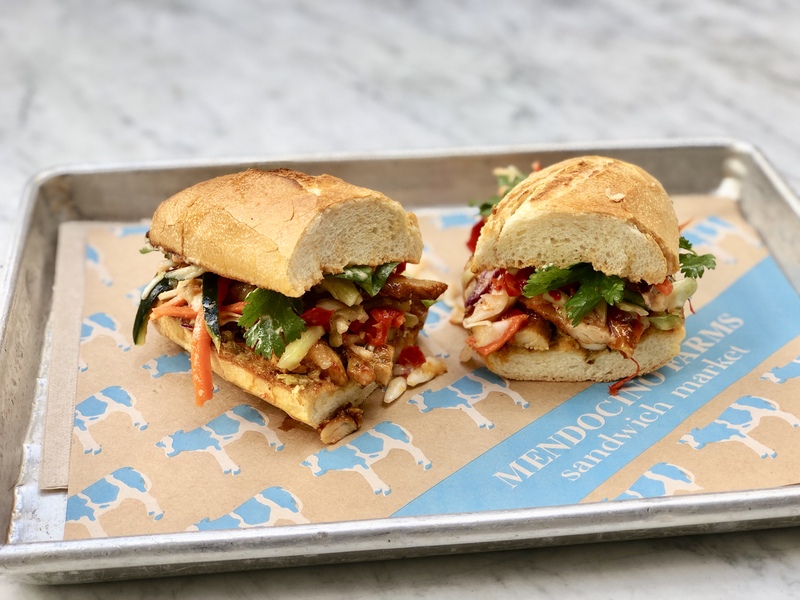 They knew that Mendo fans far and wide would get behind a social mission sandwich that allowed them to EAT HAPPY and give back at the same time, so they added Nam’s Charity Chicken Banh Mi to the Summer Menu! A portion of the proceeds from every sandwich sold will go to the Children of Vietnam Organization’s “Me & U 4 C’Tu” fund to help Nam’s family build a primary school for the children of the ethnic minority C’Tu tribe in rural Vietnam. The sandwich is available at your local Mendocino Farms for a limited time through Sunday, September 23rd!